The design of the new tower includes an 850 foot ramp and additional observation deck. Image courtesy of Wisconsin Department of Natural Resources. 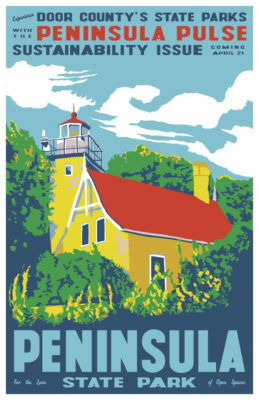 The Wisconsin Department of Natural Resources released new sketches of the new Eagle Tower Oct. 2. The plans came with the announcement that the State Natural Resources Board has accepted a $750,000 donation from the Friends of Peninsula State Park. The new design will consist of a 60-foot observation tower with a 1,000-square foot observation deck at the top and an accessible ramp approximately 850 feet long with an additional observation deck off the ramp. 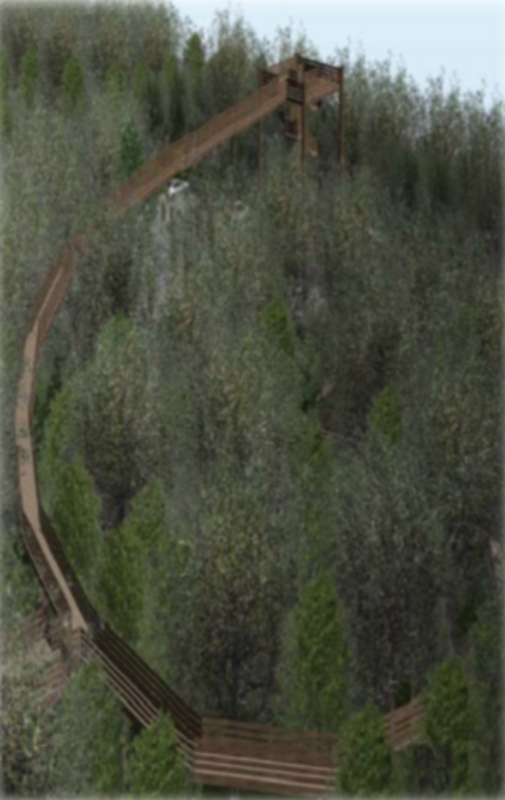 The project will also include a new accessible trail from the base of the ramp to the picnic and parking area. The State Building Commission approved the $2.07 million project at its August meeting, meaning the project now has all necessary approvals. The Wisconsin Department of Natural Resources plans to proceed with the design and hopes to begin construction in early 2019 pending bid results and weather, with an estimated completion of late summer 2019. 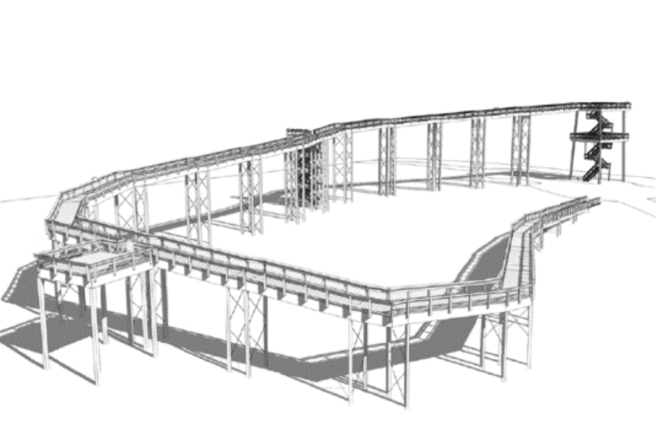 An artist’s rendering of the new Eagle Tower ramp. Courtesy Wisconsin Department of Natural Resources. Gov. Scott Walker has also included $750,000 funds in the current budget to help build the tower and the DNR will be using other state and federal funds to rebuild the tower. The tower was closed in 2015 after the DNR determined it was unsafe for pedestrian access. Earlier this year the DNR announced it would dismantle Potawatomi Tower in Potawatomi State Park as well.